I recently read an article that discouraged backpackers and unfledged travelers from staying at hostels as they travel abroad. Although the author shared some valid points while explaining his personal preference for hotels, he failed to recognize the wants and needs of most young travelers looking for a cheap, fun place to bunk for the night. So, in rebuttal to the points made in the article, I’ve gathered a list of reasons why hostels function as the best lodging for students travelling abroad. Most students travelling in other countries don’t have the convenience of their daddy’s credit card to fund their expenses while they see the world. Finding a cheap place to sleep is, therefore, much more preferable, so that they can spend their money on travelling rather than splurging on expensive hotel rooms. I have never spent more than $15 for a night at a hostel in South America, although European hostels are slightly more expensive. 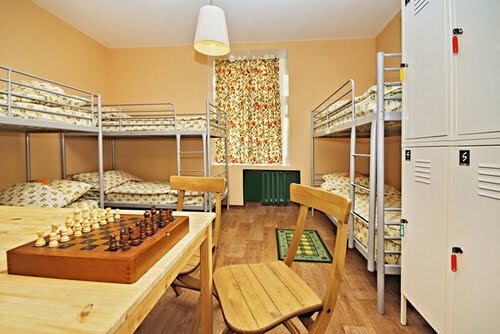 Most hostels will serve you breakfast as well and are fully equipped with kitchens and cooking materials, so that you don’t have to spend unnecessary money eating out. Hostels have a certain sense of community that I have never seen at any hotel. Fellow travelers are almost always friendly and eager to share their adventures abroad and hear about yours as well. If you are travelling alone, staying in a hostel is a great way to make friends—you may even find a new travel buddy! Boston University freshman Ellen Lesserman was happy to have made a friend at her hostel while travelling solo to Machu Picchu. While some people enjoy the privacy and seclusion of a private hotel room, I doubt you’ll ever feel as welcomed and comfortable as when you stay in a hostel. In hostels, you will encounter people from all over the world who speak a variety of different languages. The one language you will (or should) have in common though is that of the country you are travelling in. Whether it be Spanish, French, or Portuguese, you will feel much more comfortable practicing the local language with a fellow traveler than a more discerning native and can have a laugh as you work through difficulties together. Many local tourist companies have connections with hostels that offer guests special deals. I recently visited the mountain town of Bariloche, Argentina, and got a hook-up with kayaking and white water rafting trips through the hostel I stayed at. The hostel booked the trips for me and had the adventure touring groups pick me up right at the front door. Having this connection through the hostel alleviated the stress of planning my own excursions and finding information about the best prices by myself. While older, more seasoned travelers have the means to be selective with their lodging, young college students on a budget should definitely consider hostels as their main accommodation while travelling. Hostelworld.com is a great resource for booking hostels and includes reviews from people who have stayed there. They also have ratings based on cleanliness, character, security, location, staff and fun. How awesome is that? I doubt if you’ll ever receive the same low prices and open arms from a stuffy hotel than in any hostel around the world.